WASHINGTON CITY — It was like a reunion of three old friends, with some fierce competition mixed in as well. 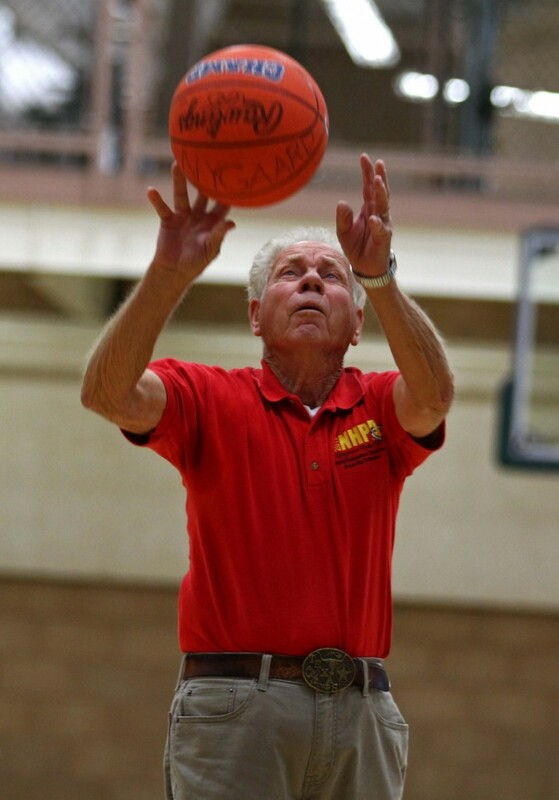 Philip Wasden, 78, of Lehi has participated in the 3-point shoot competition of the Senior Games for eight years. 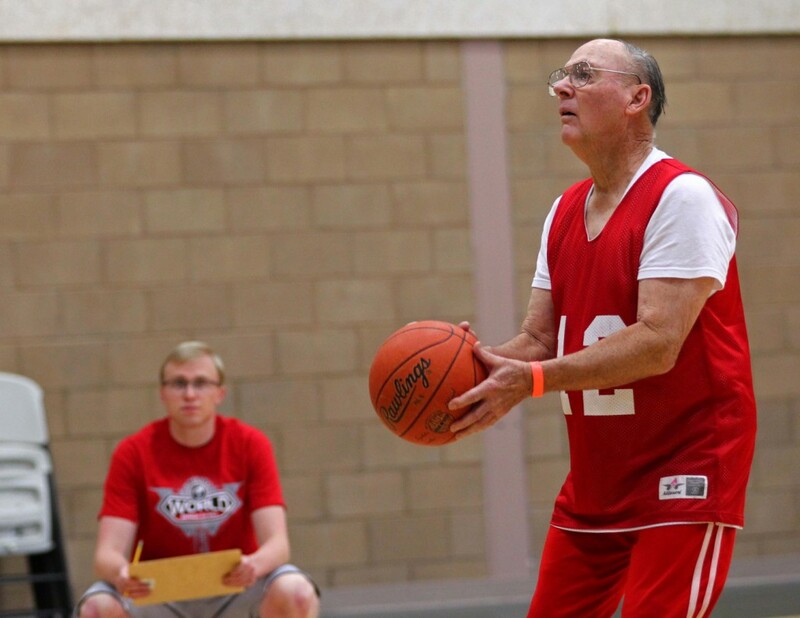 On Monday at the Washington City Community Center, He, Bob McCoid, 77, of Pennsylvania and Duane Shaw, 76, of Kansas City, Kansas, competed against each other again as they have for years. “These guys are always competing with each other and have become great friends in the competition,” said Wasden’s sister, Marlene Wasden-Cupit. She, as well as other family members came from Texas and other areas of the country to support Wasden. All three men supported each other with cheers and congratulations after they competed. Wasden, who didn’t make it into the final round of the competition, said he has always enjoyed the games. 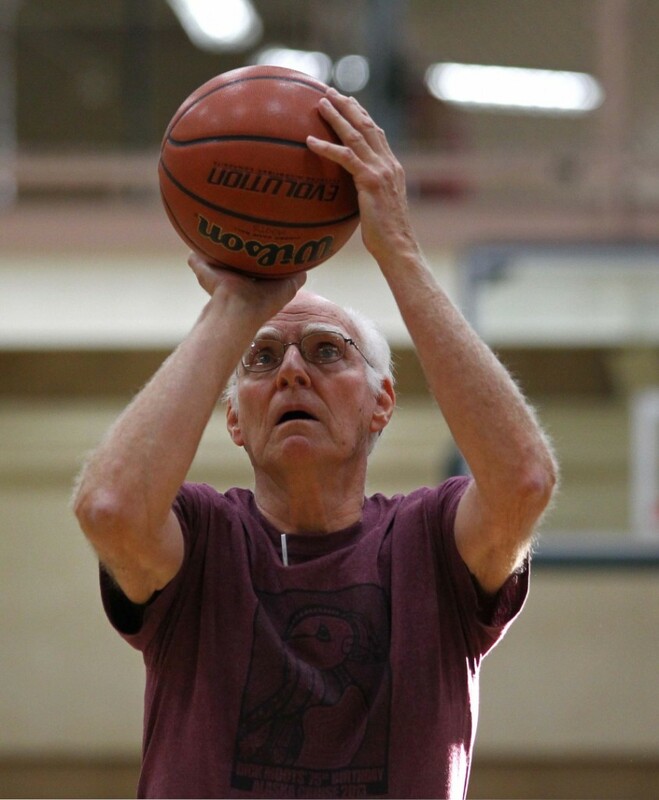 Wasden said he was a late bloomer to shooting basketball hoops. When he was in college he played intramural and church ball. The competition consisted of each competitor shooting 25 free throws, plus six three-point shots from various places on the court. 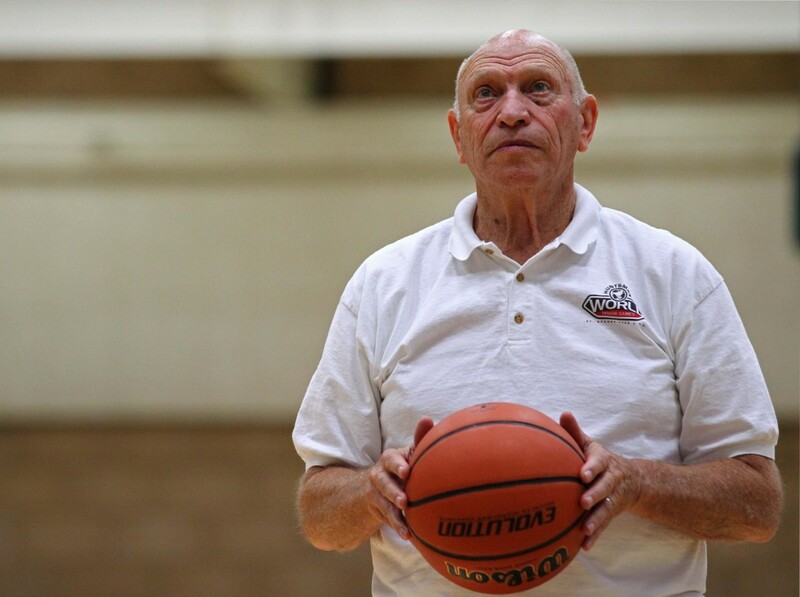 McCoid was the gold medal winner of the 75-plus age group with a score of 39, Perry Olsen, from Utah, followed with the silver with a score of 36, and Shaw took bronze with a score of 35. McCoid and Shaw both said they have competed in the competition for 13 years. 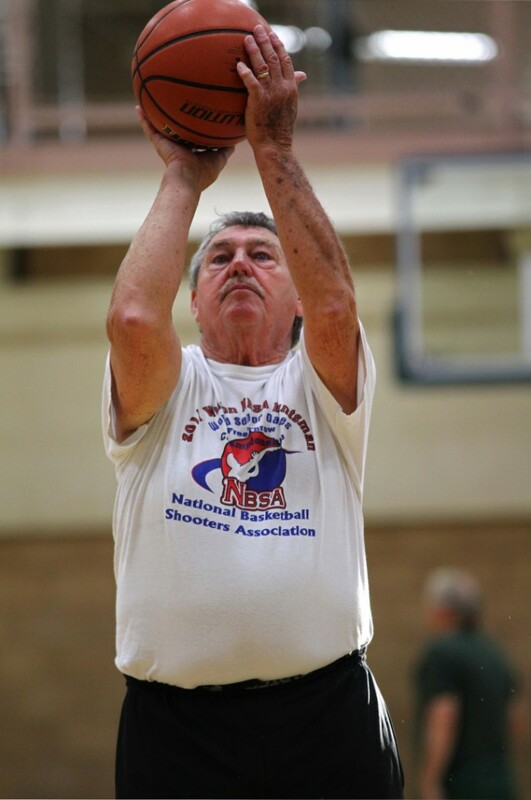 Shaw said he competes in shooting competitions all over the country and he won the 3-point shoot in Huntsman Senior Games last year. 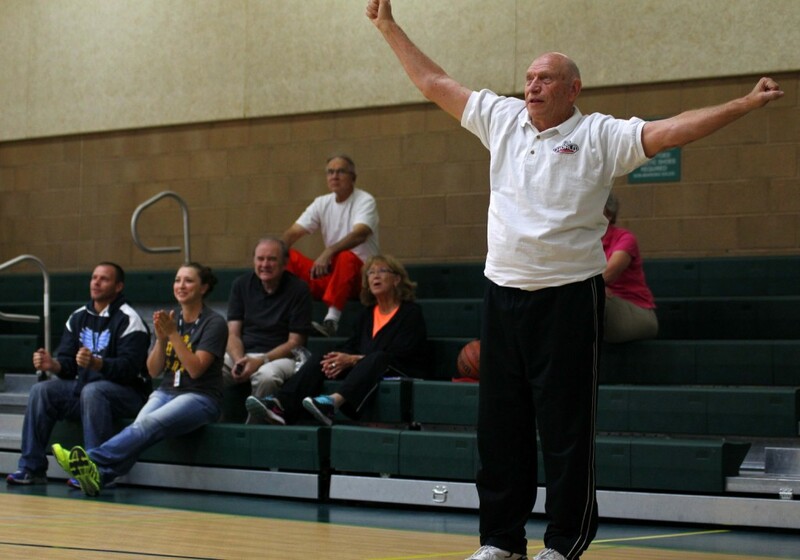 In the 50-54 age group, James Pauly from Los Angeles broke the world record in the hot shot competition, breaking the previous record of 61 by one point. 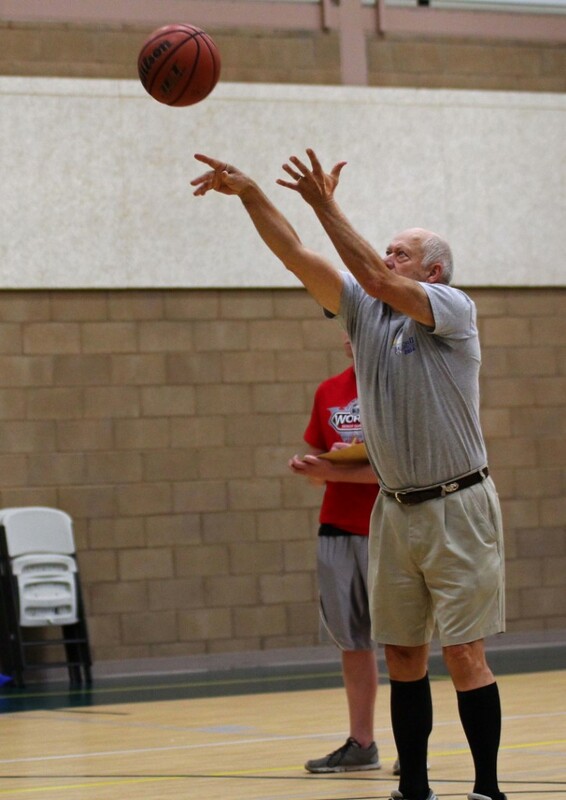 He took the gold medal overall with 35 points in the 3-point shoot. Pauly said he has competed in many competitions and is a shooting coach involved with a program called Noah Basketball Shooting. He said he enjoys the competition and being active within the sport. Event coordinator James English has overseen the event for 17 years and said it has gotten bigger each year. Holly is a 2013 graduate from Southern Utah University, where she received her bachelor's degree in communication with an emphasis in journalism and broadcasting. She thrives off meeting and associating with people from any background and culture and learning their stories. Holly is a country girl and enjoys the outdoors, but most of all she loves spending time with friends and family.